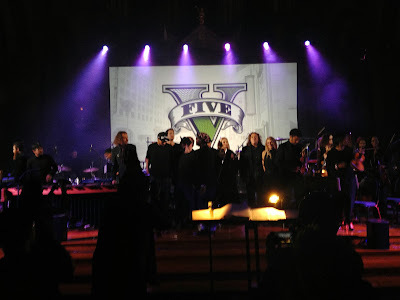 During the New York Film Festival, Rockstar Games held a special GTA V concert at the Church of Saint Paul the Apostle in New York City. The concert featured GTAV score composers Tangerine Dream, Woody Jackson, The Alchemist and Oh No along with an ensemble of musicians performing a mix of tracks from the game’s score. Grammy award winning producer, musician, composer & engineer Om’Mas Keith served as Musical Director & Conductor for the event. 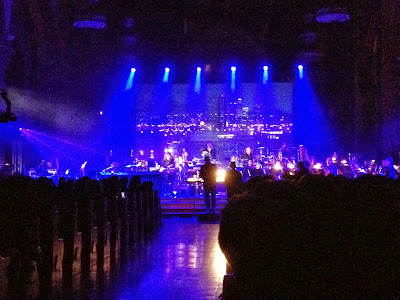 Here are a few photos from the event that I captured on my iPhone to share with you. 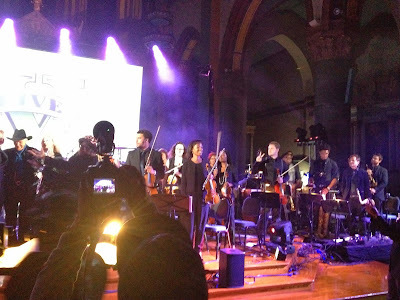 I had a great time by the way. 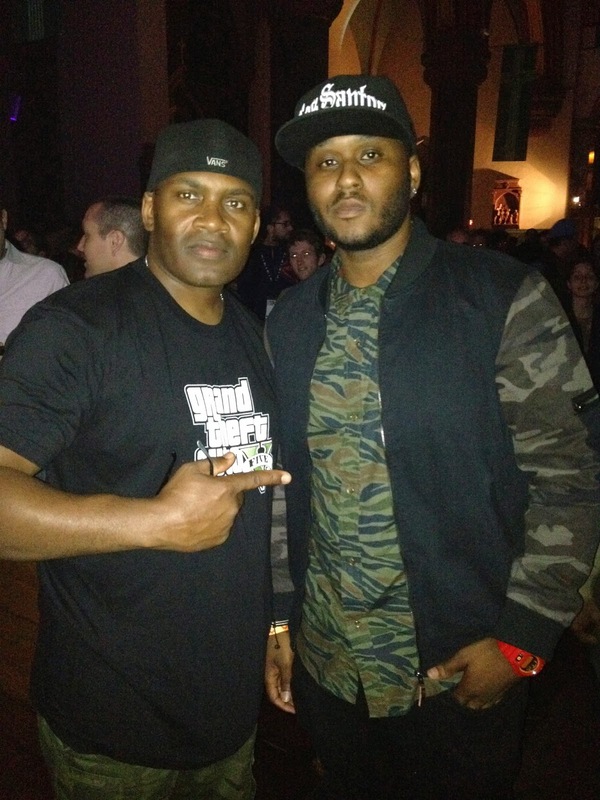 During the concert I met the actor (Shawn Fonteno) that plays the character Franklin in GTA V. My first words to him were “You’re living my dream!”. I explained to him that it has always been my dream as a kid to be in a Rockstar videogame like GTA. I thanked him for allowing me to live vicariously through him every time I play my favorite game. 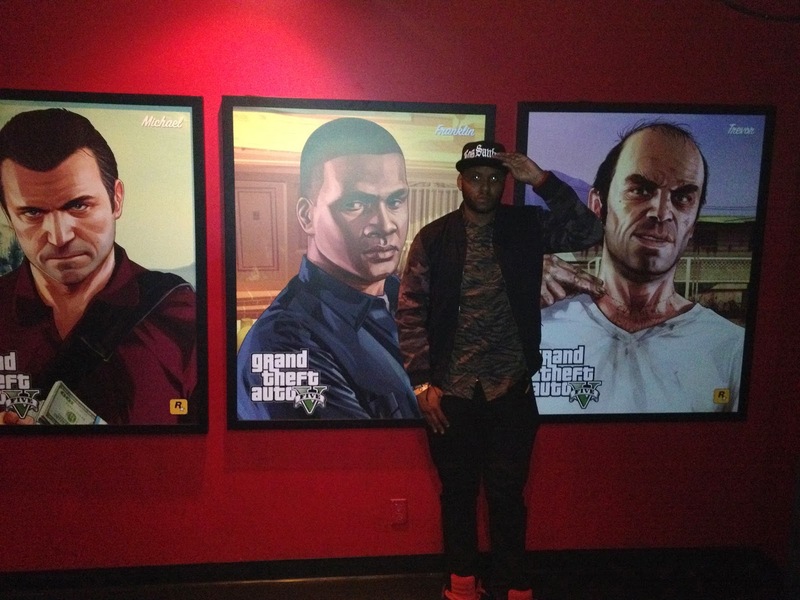 Franklin responded very humbly and we actually exchanged info and became friends. 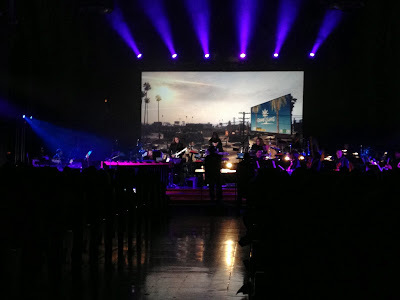 Even invited me to come hang out in LA with him and the crew and see the life that inspired that great record breaking videogame title. After the concert, Rockstar took the festivities to ‘Le Poisson Rouge’ for the after party. 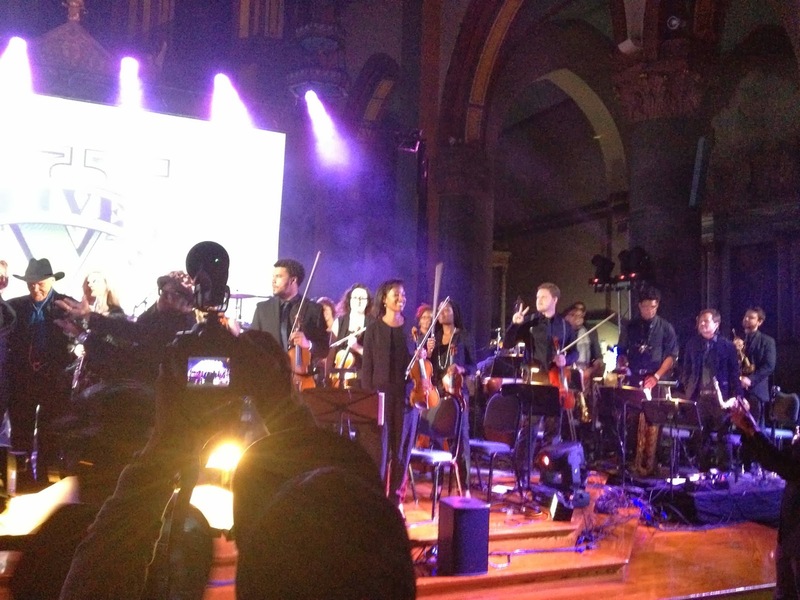 Flying Lotus and Gilles Peterson, DJs from the game soundtrack, were on the 1’s & 2’s at the after party. 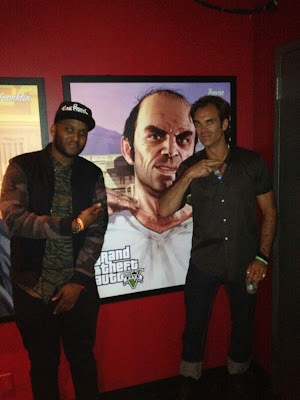 During the after party, I had the chance to meet the other two main characters of GTA V… Michael (Ned Luke) & Trevor (Steven Ogg). Also, GTA Online officially launched today! If you would like to join my Social Crew, click here.